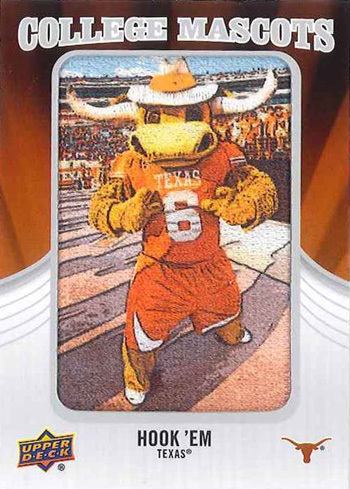 When we started to see the manufactured patches come in for the 2012 Upper Deck Football College Mascots inserts, we immediately believed these cards would be a hit with fans. 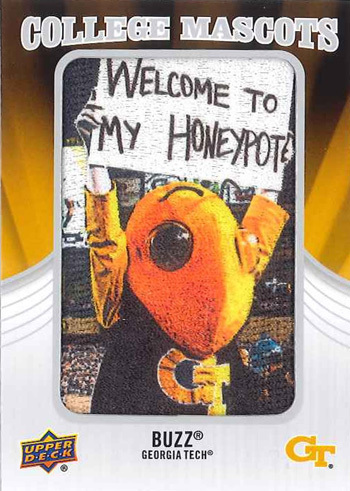 Thus far, that has been true with collectors excited about these cards, working to find cards of their alma mater or to try to put together the entire set. 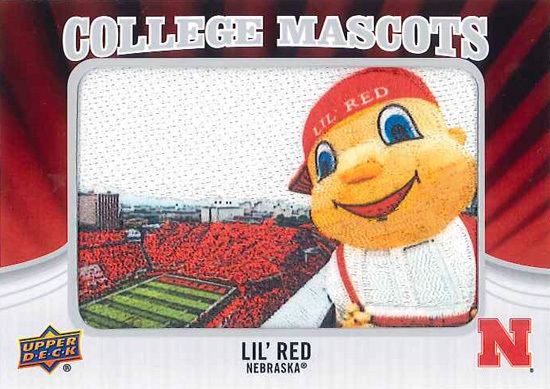 The 60-card set will feature some of the top mascots in college football and fall four per case on average. 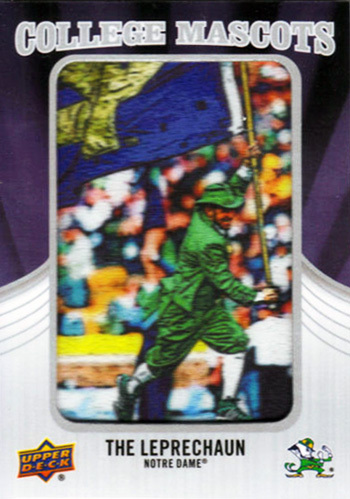 There are different levels of rarity on these cards and some schools have a rare variant version as well. Look for more details on rarity levels on these cards next week. In the meantime, take a look at some of the cards in the set!